Chosen artist to paint public bench in city and Gallery project. 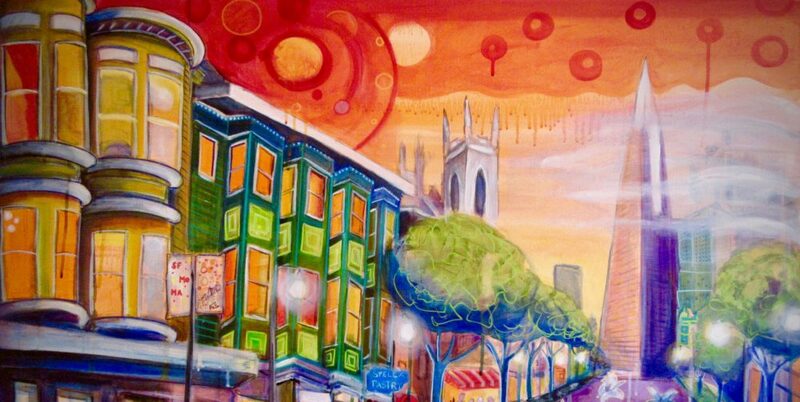 Juried show to have artwork on public banners in SF streets for one year. Received Juror’s Choice Award for Buffalo Morning.